The Mercedes-Benz SLS AMG Roadster is arguably more handsome than the fixed head coupe version. The long bonnet proportions somehow seem to fit a convertible car better. 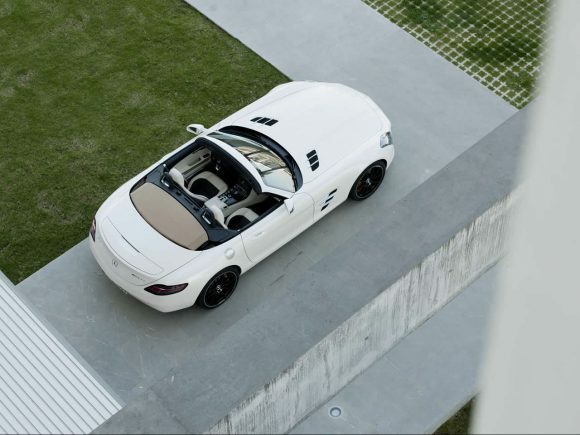 The design of course, pulls heavily from the classic 1950’s 300SL Roadster, but there is no mistaking that this is a thoroughly modern supercar. It may not share the 300SL’s elegance, but it does have brutish good looks without looking too flashy when compared to its Italian rivals. 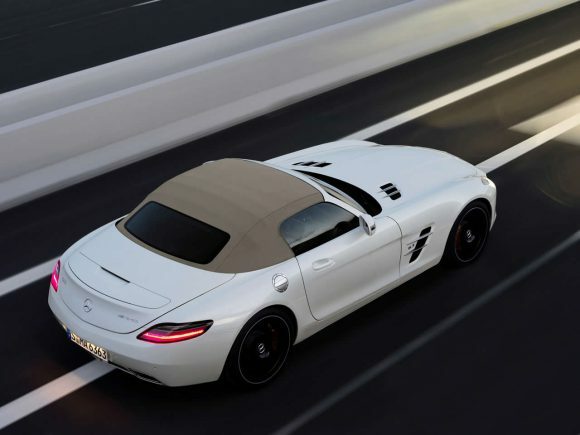 The 3 layer fabric soft-top folds away in just 11 seconds and can be operated at speeds up to 50km/h (31mph). 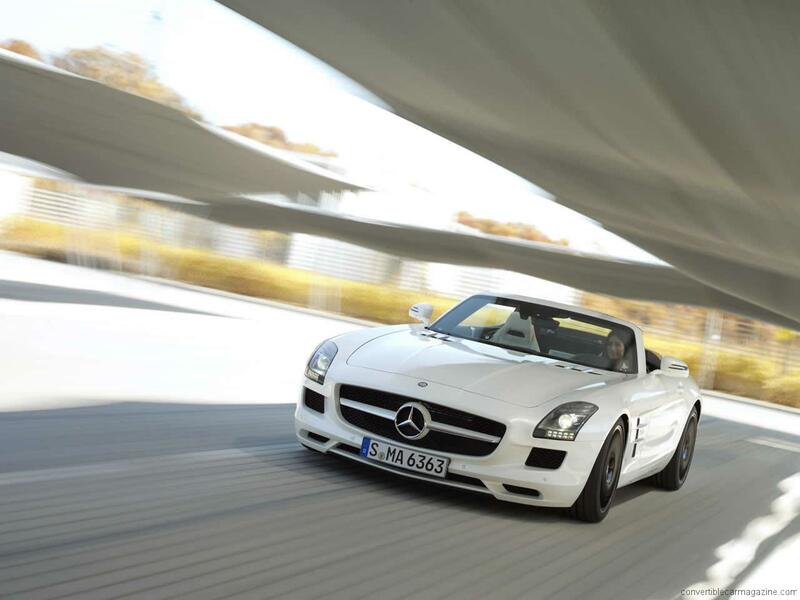 By choosing a soft fabric roof for the SLS Roadster, Mercedes saved a considerable amount of weight and although there is extra chassis strengthening needed over the rear axle over the coupe the car remains only 2kg heavier. 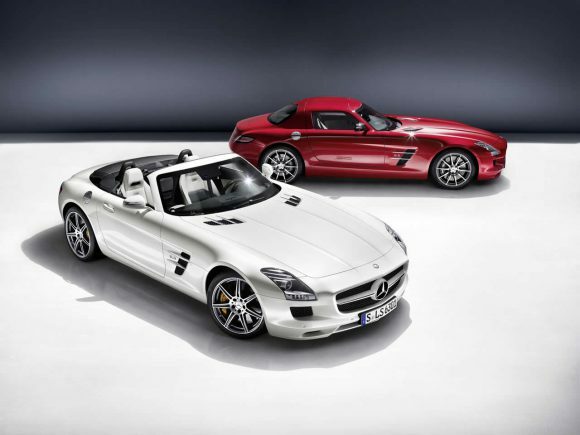 The roadster also has only 3 litres less luggage volume than the coupe. The V8 AMG power plant is the monster you would expect; it sounds awesome and pulls with great purpose. Add this to a well balanced, light-weight (if large) aluminium chassis and body and you have a recipe for fabulous performance. 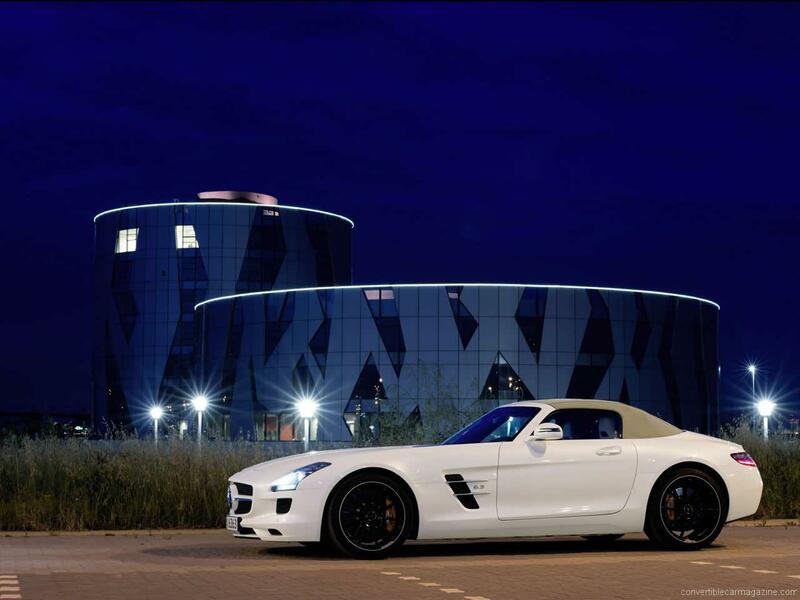 Do you drive a Mercedes-Benz SLS AMG Roadster? Would you recommend it to others? Start the conversation and let us know what you think of the car.